A ruptured gallbladder can lead to life-threatening conditions; therefore, it is crucial to know the signs and symptoms of this serious medical issue. The rupture can happen quickly and a sharp, stabbing pain may follow suddenly before fading and then returning. Failure to seek immediate medical attention could put you at risk for a fatal blood infection. Let’s take a close look at what happens with a perforated gallbladder and examine the possible ruptured gallbladder treatment options. Our gallbladder’s purpose is to store excess bile created by the liver. The liver produces this fluid to better digest food and break down fat. We can live without our gallbladder if need be, and there are several reasons why this may become the case. What Causes a Ruptured Gallbladder? As you can see, an array of medical problems can mirror ruptured gallbladder symptoms. It is vital that you obtain a correct diagnosis to prevent further complications. We have listed below the various imaging and laboratory tests you can expect to undergo to confirm a perorated gallbladder. Once a diagnosis is confirmed, you will need immediate perforated gallbladder treatment through hospitalization. A ruptured gallbladder allows the stored bile to enter the abdomen cavity, which will then lead to peritonitis (inflammation of the abdominal wall) and potentially sepsis. You will need emergency perforated gallbladder surgery to remove the gallbladder and thoroughly remove bile and other particle matter that has attached to the lining on the abdomen wall. Surgery may involve a laparoscopic procedure, in which a small incision is made in the stomach to remove the gallbladder. This has a lower risk of complications than other surgical procedures. Expect to spend a few days in the hospital after your procedure as your pulse and blood pressure need to be stabilized before discharge. Your treatment will continue at home with incision care, pain medication, possible antibiotics to prevent infection, and rest. You may also want to follow a low-fat diet as you will no longer have excess bile stored in your system. 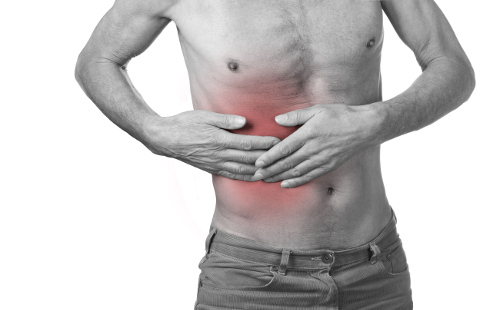 A ruptured gallbladder is an urgent matter that requires immediate medical attention. It can happen suddenly from direct injury to the organ or from an invading infection. With a perforated gallbladder, the stored bile can enter the bloodstream and lead to further complications that can cause death. Removing the gallbladder is the only way to ensure a successful outcome. Treatment will continue at home with a management plan and may require a change in lifestyle. “Rupture of Gallbladder,” Healthline; http://www.healthline.com/health/gallbladder-rupture#overview1, last accessed May 18, 2017. “Rupture of Gallbladder Symptoms: Causes, Diagnosis & Treatment,” Tandurust, December 16, 2015; http://www.tandurust.com/health-faq-8/rupture-of-gallbladder-symptoms.html, last accessed May 18, 2017. Otto, E., “Gallbladder Rupture Symptoms,” Livestrong, September 17, 2011; http://www.livestrong.com/article/223715-gallbladder-rupture-symptoms/, last accessed May 18, 2017.